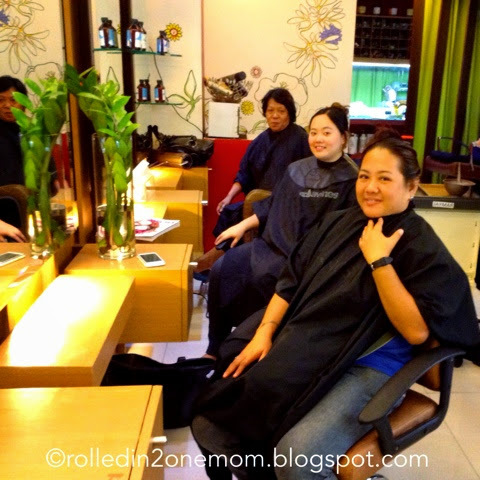 Pamperings and makeovers have become so rare for me since I gave birth to Choi. It's like all my time, not to mention, money has got to be set aside or spent on all things baby-ish. Don't get me wrong, choosing to be a mother proved to be the most rewarding experience "ever" in my life! I am a single mother by choice. I won't bore you with all the dirt about why. But I guess, you can imagine how hectic it can be sans a nanny. Juggling my responsibilities and all, but of course, everything comes second when it comes to my boy. As they say, being a single mom makes you a dad too! There is an upside though! I am one of the few lucky ones I guess, because I have a very supportive family who stood by me despite my decision and who gladly takes over mommy duties whenever I need to do important tasks. My sisters usually volunteer to care for my son but then again - not all the time. So when they're available, I take advantage of it to squeeze in some "Me" time too. Thank GOD for generous friends! Hahaha...a friend of mine who recently discovered that I'm a blogger offered a makeover treat to me recently. Who am I to say no? What made it all the more enticing was that my Dad offered to watch over Choi while I go on a beauty adventure. 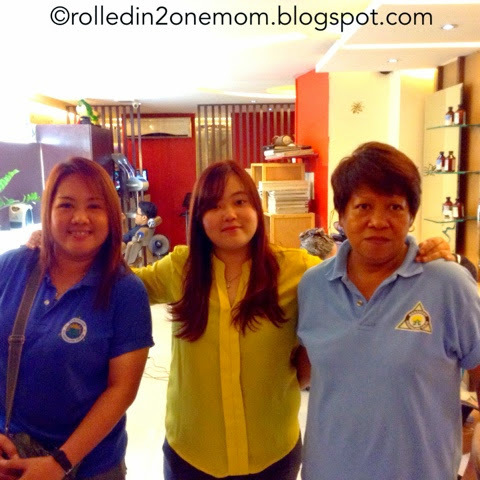 With two of my friends and a sister in tow, we headed to Cedar Makati for a fab mommy pampering time. We chose the Cedar Makati Branch at Arnaiz Avenue, at the back of Raffles Hotel and Landmark since it's the nearest branch to us. I felt like royalty as soon as we entered the modern minimalist themed reception area of the salon. We were led to an available styling chair and was immediately offered with a choice of coffeee or iced tea. Reading materials which mind you, are up to date came next. Service deluxe eh? I can't help but compare it to the other salon I used to visit, lower rates, yes, but the experience? Definitely not the same! 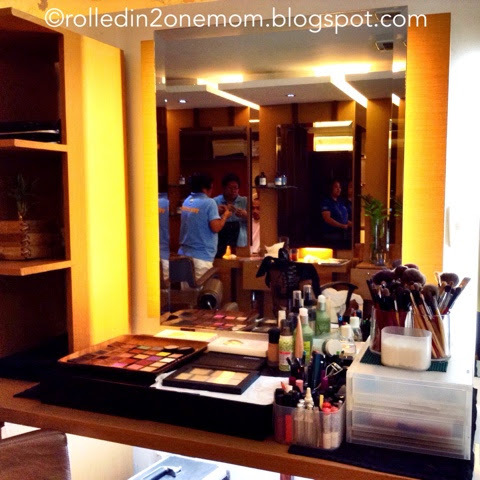 The vanity mirror every woman covets! It was cut and color day for me. I was so excited since it's been a year and a half since I had my hair did. I let Rudolph, my stylist, take the lead. He was so accomodating and very helpful yet not a know it all. Despite all his trainings, he let me choose the style and color for me. He just threw in bits of ideas to guide me. I also loved how he gave me a few pieces of advice about what to do and what NOT to do with my hair. We decided on, of course this is my mommy term,- a layered just below the shoulders haircut and a reddish brown hair color. DONE DEAL. Rudolph was a quick worker. He was quiet yet friendly, working on my hair as gently as possible. My scalp is so sensitive, it usually has a reaction to treatments, but at Creations, surprisingly, no itchy feeling on my scalp at all. The cherry on top, a gentle back massage while waiting for my color to set. 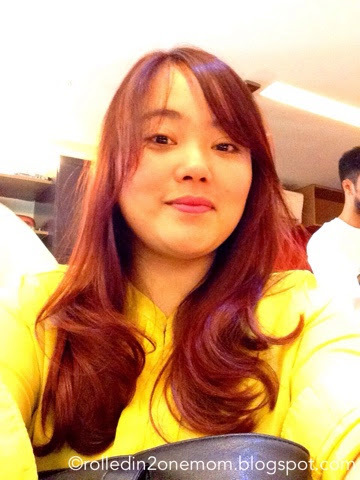 Let me give you a brief background about the Salon and its' owner. CREATIONS BY LOURD RAMOS was launched in December 2010 by Mr. Lourd Ryan Ramos, taking a few feathers from his cap, Lourd was Asia's Next Top Model Judge, Davines Italia and Tresseme Ambassador, Avon Hair Care Consultant, Awarded as Asian Top Fashion Stylist of the Year (Top 5), Make up Artist of the Year (2010), and a Philanthropist as he hires victims of Typhoon Haiyan (Yolanda) to be salon stylists providing them with food and shelter and Lourd continues to give free haircut missions for Puso Para Sa Bayan Foundation of Vice President Jejomar Binay. A top stylist and a philanthropist, who wouldn't want to be pampered here? And here's the FINISHED PRODUCT. Lol! That's Me with Lourd Ramos, Kag. Cris and my friend Angel at the Puso Para Sa Bayan Caravan in our Barangay. Because I am feeling thankful and generous, I am choosing ONE LUCKY WINNER for a FREE CUT AND COLOR at CREATIONS BY LOURD RAMOS SALON! Experience the same VIP Treatment by expert stylists just by clicking in entries! The more entries, the more chances you have of winning! 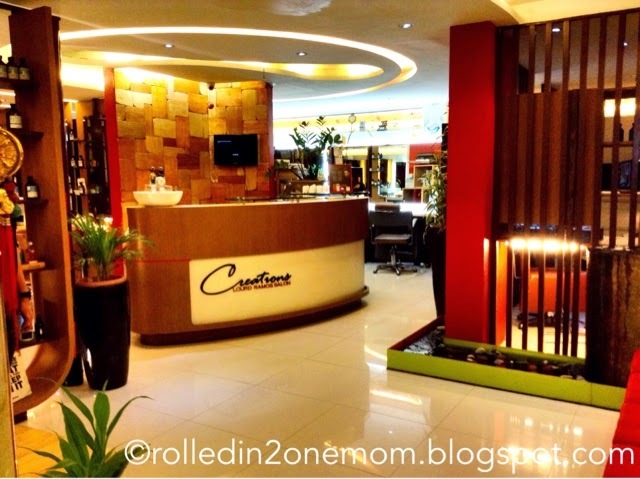 Have a fab makeover at CREATIONS BY LOURD RAMOS too! I will announce the winner on November 25, 2014! Join now and Good Luck!!! I saw that picture on FB, so gorgeous! I love your profile pics, Nhessie but this one with the hair is queen! Hope I win! Can't remember the last time I've been to a decent salon, grabe. i'm having problems nga with their twitter handle! should tell him about it! :-) anyways, thanks so much for the compliment! and do join, i would love for you to experience the same vip treatment too! hihi...my bad! 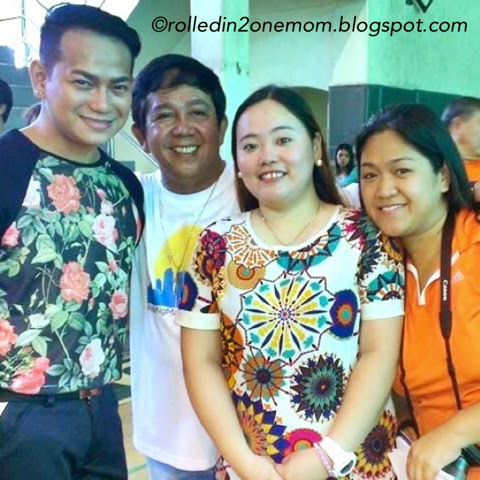 thanks mommy pauline! I will not join because I have very short hair now. lol Good for you that you have very supportive family. I have read good reviews about this salon so I'm curious. I'd like to win this so it'll be part of my reward for the success of my No Sweet Treats challenge that I imposed on myself. I'm claiming success already. New hairdo to fit my newly improved health and physique. I love the color of your hair and What a fabulous giveaway! I love your curls. What a nice giveaway. This is definitely a good treat for the ladies. I need it so bad! I want to have a new look this coming Christmas :) lots of parties to attend to and tons of relatives to visit :) This would be a great gift! Since I will be starting my first job this November, I think I need a makeover to look like a corporate chic. Haha. This is a very timely giveaway! I have white hair all over! Haha! Thanks for this very helpful giveaway, perfect as a Christmas present! I hope I win! thank you to everyone who joined! i have more for you guys! stay tuned!